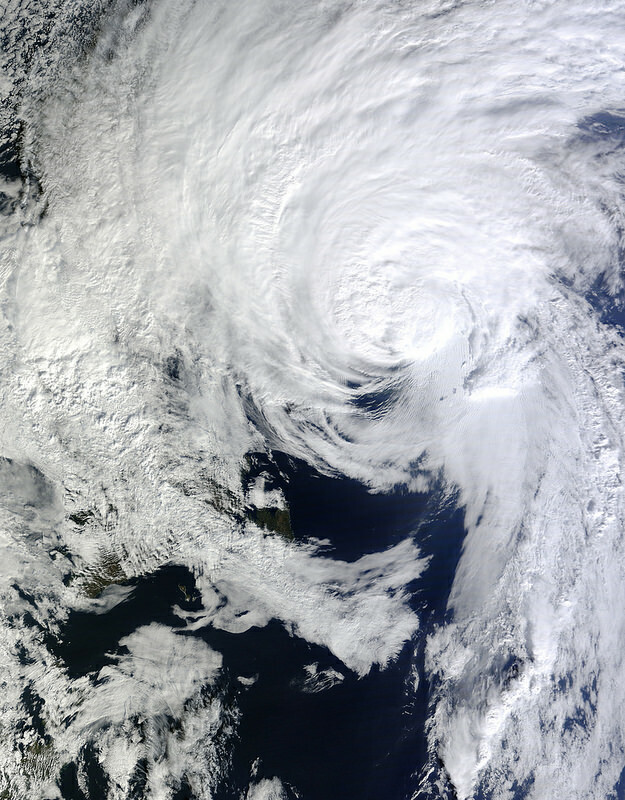 On Oct. 19 at 1500 UTC (11 a.m. EDT), the MODIS instrument aboard NASA's Terra satellite captured this visible image of Hurricane Gonzalo east of Newfoundland, Canada. . Credit: NASA Goddard MODIS Rapid Response Team.